Electrical Server 2016 isn’t supported on Windows Server 2012 R2. End Of Life (EOL) corresponds to the last SOLIDWORKS release where a Microsoft product is supported (This is synchronized with the Microsoft Mainstream Support End Date). SOLIDWORKS releases after the EOL are not supported for the said Microsoft product and SOLIDWORKS installation is blocked in the case of an operating system. SOLIDWORKS Product Support Lifecycle defines the End Of Support for SOLIDWORKS versions. 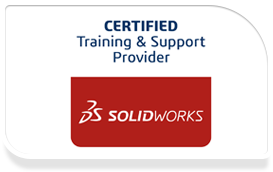 SolidWorks recommends using the latest Microsoft Service Pack of Windows, Office and Internet Explorer. SolidWorks recommends using a Windows Server operating system for all SOLIDWORKS server-based products. Windows Server operating system support applies to Standard and Enterprise editions only. Windows Home Editions and Windows To Go are not supported. Microsoft Office ‘Click-To-Run’ feature is supported for SOLIDWORKS 2017 and later. Apple Macintosh® based machines running Windows using Boot Camp are not supported. What’s new in SolidWorks 2018? SIGN UP FOR ALL LATEST PRODUCTS AND DEALS!